Seven Days has hired VTDigger's Alicia Freese to join its expanding news team, the Burlington weekly announced Thursday. According to Seven Days coeditor Jeff Good, Freese will join Kevin J. Kelley in covering the city of Burlington and will "fan out into the neighborhoods and explore the issues of health care and higher education as they play out in the lives of people who live and work in and around the city." 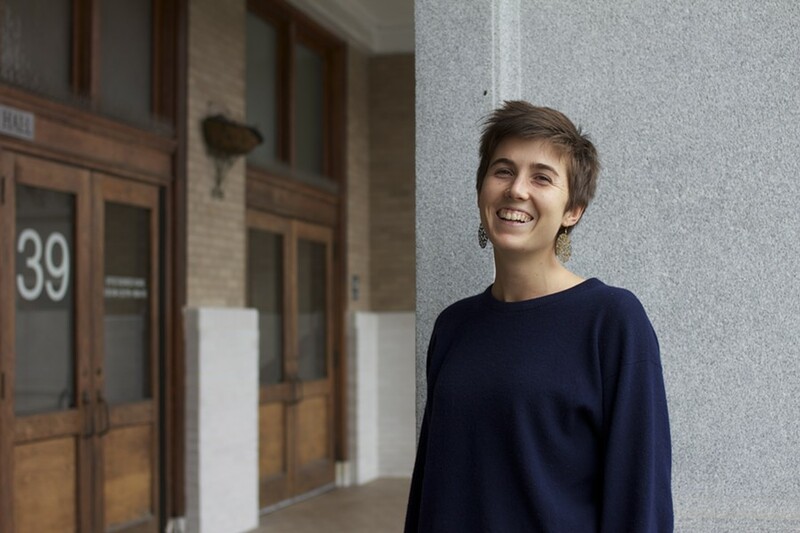 A Tunbridge native and 2010 graduate of Pomona College, Freese joined VTDigger as an editorial assistant in September 2012, before working her way up to full-time reporter. During the 2013 legislative session, Freese covered education and human services in the Statehouse. She has since covered statewide politics and health care. "Alicia's Statehouse experience will serve her well as she explores how policy decisions made by government officials affect the lives of ordinary people," Good says. "And her desire to tell stories that are fully human means our readers will be treated to articles that are more than just dry recitations of fact." Since Good was hired in September to take charge of Seven Days' news team, the paper has created two new reporting positions. Mark Davis, who worked with Good at the Valley News, joined Seven Days in October. Freese says she's hoping to write more "narrative-based journalism" and explore how policies hatched in the Statehouse affect Vermonters. "I think it comes down to wanting to do more people-centric stories, rather than policy-centric stories," she says. "It was a really tough decision to leave Digger," Freese adds. "It was a good place to be reared as a journalist. [VTDigger Founder and Editor Anne Galloway] took me in as a complete novice. I feel like I've learned a ton. It's an up-and-coming organization, so it was hard to leave." Freese starts at Seven Days in January.